First, the population is aging and the Federal government disproportionately takes responsibility for the aged. The share of the adult population over 65 will have risen from 12.5 percent in 1990 to 19 percent in 2030. Of course, one might argue that as life expectancy increases, the definition of old age should change. 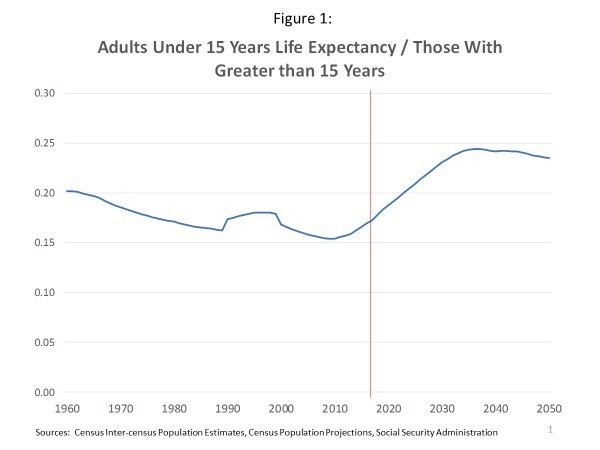 Figure 1 show that there will be dramatic increases in the share of the population who are within 15 years of their life expectancy relative to those who are more than 15 years from their life expectancy, so allowing for an evolving retirement age does not change the fundamental picture. 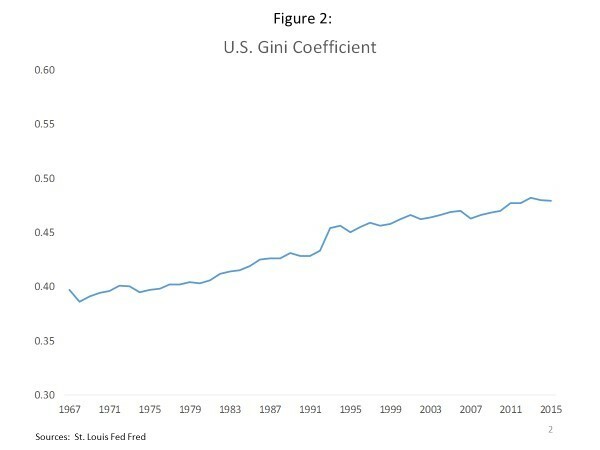 Second, inequality has increased substantially, as depicted in Figure 2. If one of the functions of the federal government is ameliorate inequality, it will experience pressure to expand to even partially offset rising inequality. This effect is potentially large. The share of pretax income going to the top 1 percent has risen by 10 percent of total income. Undoing even a quarter of this would cost about 2 percent of GDP. Third, the relative price of what the government buys has soared. In fact, according to the CPI the relative price of a TV and a day in a hospital has changed by a factor of 100 since the 1980s. 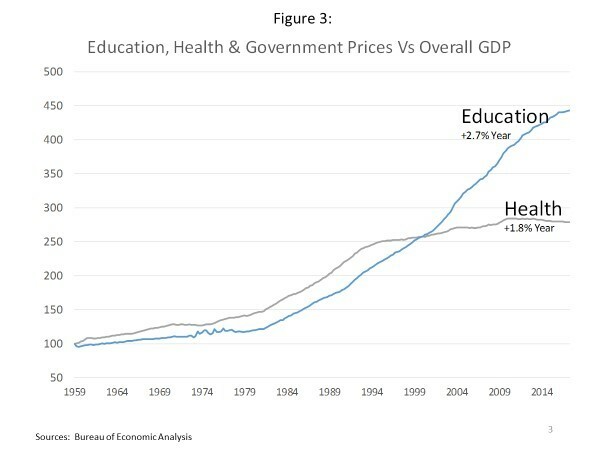 As Figure 3 illustrates, this is a quite general phenomenon with health and education costs rising faster than GDP. Rising relative prices for what government buys necessitates larger government. 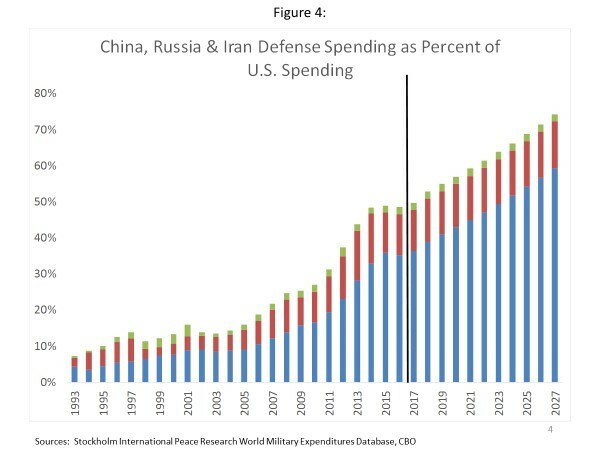 Fourth, presumably our defense spending needs to be calibrated to some extent to the defense spending of our potential adversaries. Figure 4 suggests trends in our relative spending that are unlikely to be sustainable. It is of course possible to argue that government spending has long been excessive and so rising demands on government can be met by curbing past excess. My point is not to argue about the proper size of government, only to note that if one accepts the judgements made in recent decades, the logic points to larger government in the future. And that is why leading with large unpaid for tax cuts is dangerous and ill-advised policy.